Metal half sphere, possibly brass, has a movable needle on one end. Has a lot of blue chalk residue. 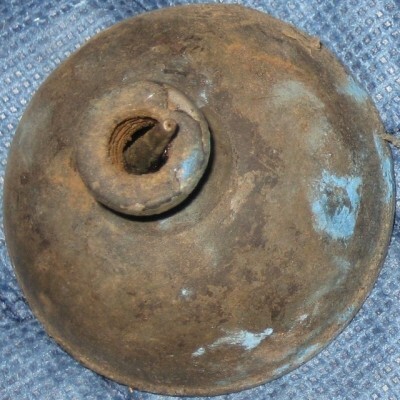 Probably top of a two piece Plumb bob used for a plumb line or chalk line by a carpenter. Object has a 2" diameter and is approx. 1.5" in height.